Keep in touch with your congregation! 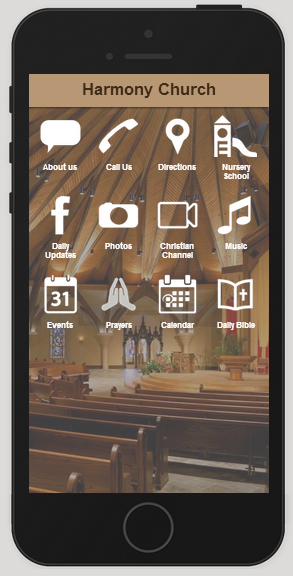 Choose from 30 different page styles so your mobile app design will engage your church congregation. 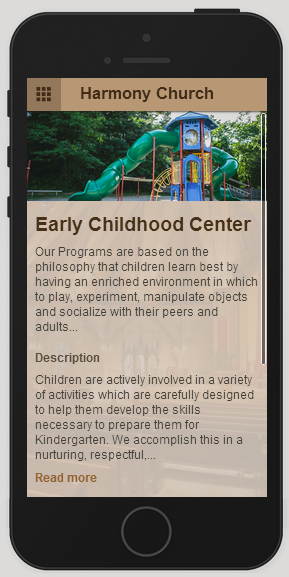 Your members will be well informed with Informational Overview Pages, Event Pages, Sign-Up forms and more.